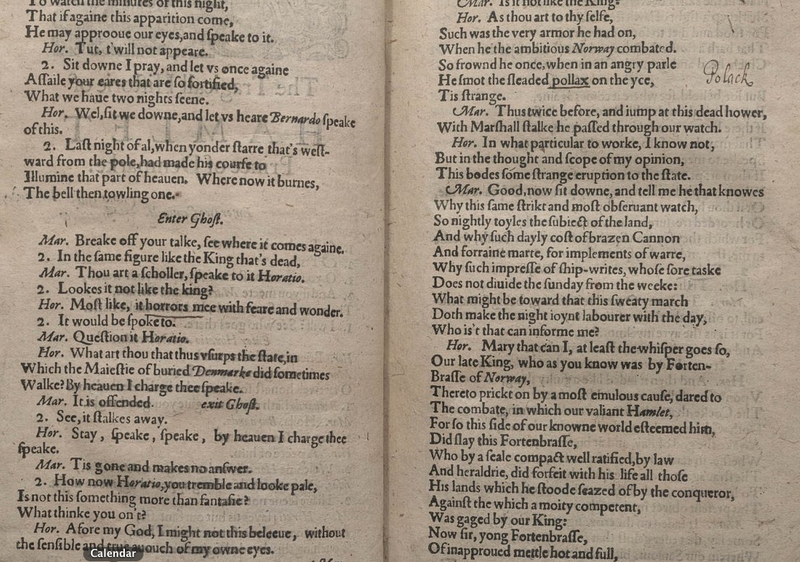 2B or nt 2B : is textspeak the death knell for Shakespeare? I am burn’d up with inflaming wrath, as Shakespeare might say. Hand me my soapbox. Lend me your ears. Our lives are crowded out with sound, a cacophony of event and happening. The wireless arrived , and then the television; the computer, the tablet, the mobile phone. Their seductive addictive siren songs have us doing and exploring and filling our minds with an intellectual diet of our own choosing, for as great a proportion of our 24 hours as we wish. And into the middle of this affluent Utopia governed by corporations and credit cards a new kind of language has become the norm. You has become U, BTW is by the way. Spelling is immaterial, brevity of content paramount. It is a language designed to communicate content fast without theatre. It is basic. And it is inglorious, devoid of manners: rather than I’m sorry, have we met before? textspeak uses DIKU: do I know you?. And it replaces Excuse me, I’m just going to use the bathhroon, to IGGP: I got to go pee. It’s not rude. Just devoid. Someone saw this coming. But he thought a socialist state would perpetrate the language in some sinister fashion. George Orwell called it Newspeak. If you engineer words, the thinking went, why: you could engineer minds. In the event, it has not taken some sinister overlord to vanquish the grace and beauty in the language of the common man, but rather a proclivity of Western man to choose a poor linguistic diet for himself. We have chosen textspeak. It is our communication of choice. And as usual researchers are quick to jump to its defence. In September 2012 researchers from Coverntry University assesed 83 primary school children and 78 secondary school children: once, and then again a year later, to see if texting affected their grammar and punctuation over time. It did not, they concluded. Indeed, children who texted had better spelling and processed text much more quickly than those who did not. A further Coventry study back in 2010 revealed children who texted had a much higher degree of phonological awareness – the building blocks of words and how they fit together. Yet is there a teacher in Shakespeare’s old land who is not battling impoverished vocabulary in their charges? Perhaps it does not matter. These young people can spell and write quickly and efficiently, can they not? Turn a blind eye, if you dare. But my eyes are trained on Liverpool University’s Magnetic Resonance Centre. This week one of the academics who has worked with the Centre- English professor Philip Davis- will stand up in front of a conference and tell them how unutterably powerful is the language of our forbears; and how if we lose the skill of writing with beauty, grace and poetry, we will lose much more than tradition. The Centre asked 30 volunteers to have their brains tracked as they read language. They were given passages of Shakespeare; and then his words translated into everyday English. Shakespeare’s words lit up the brain like a Christmas tree; the other translation, not so much. And not only Shakespeare had this effect. The researchers tried William Wordsworth, Henry Vaughan, John Donne, Elizabeth Barrett Browning, T.S. Eliot, Philip Larkin and Ted Hughes. Not only does it spark a lot of activity, but also a higher level of thinking, for a long time after the words are heard. And it triggers that rarity in our society today: reflection. Great writing makes you re-evaluate your own experience. I might even go as far as to say: great writing makes you wise. But these latter are what people want. And so they are what the salesmen sell, and the babble of social media promotes. Our society has a choice. We can begin once again to immerse our children in these works of art which have been enlivening us for centuries. Or we can let the salesmen have their souls. Posted in WhimsyTagged George Orwell, Newspeak, shakespeare, textspeakBookmark the permalink. We can only learn to write well by reading good writing. We mustn’t stop our pursuit of the best, because the lion is already at the door, chewing away at our language. Each new generation seems more determined than the last to reduce our gorgeous language to forms like text talk, which is not a language at all. It’s enough to reduce this old editor to tears. Was Gazza’s biography included in this test Kate? Shame – I believe it set a new benchmark in writing Kate! Ha, now you have me thinking about how old you think I am. I think we are in the same generation :-). I am just the same as you, Steven. Horrid things, these new contractions. It makes me really scared – like the move to do away with ‘running’ writing – even the need to know the times tables and how complex equations work – if we don’t give our brains the tools to expand their neural pathways to generate higher and ever higher thoughts and ideas it’s down the slippery slope, I fear. Where will the next generation of thinkers and innovators come from? Idiocracy, Wanderlust. You ever seen the film? 2B or nt 2B Tht is th ? Nope, it has very limited application! I do like the thinking behind the thinking applcation. But do moderns WANT their brains lit up like Christmas trees without the use of hallucinogenics? Probably not. Yet that lighting up: it’s what broadens our world, Col. It’s beginning to look awful narrow for huge swathes of the population, from where I’m standing. A powerful rallying cry Ms Shrewsday! It has no rhythm, Fiona. I read words as I read music, using the phrases. I’m just trying to think if textspeak even has phrases. I don’t know how to text and don’t want to. I had to teach 1st year university students of this generation how to write a sentence, I did that for years – argh! Ha! That must have been an annual trial, Julie…welcome back- hope all is well at yours. I want to have my brain lit up like a Christmas Tree every day in some way. It’s why I blog, Lou. And I suspect you achieve your aim daily, too. Our language has continually changed. We speak and write differently than they did a hundred, fifty, even twenty years ago. I can see the English language change to U and R and someday our present day language will seem archaic to others. It is a shame to lose it and for some it will not be lost. I hope. Great post. Thank you, thank you, thank you. Your post should be duplicated and handed out on street corners. It might have to be translated first, of course. I’d like to watch the monitor while a subject reads John Donne. Fireworks! Indeed. An explosive author, our Mr Donne. And would there be any difference between the early and late poems, when his ardour had different sources? And there is the evidence that language isn’t gone yet.. just in that one sentence. Thank you, Cameron. Though I just sit here writing in this cobwebby old cybercupboard with fingerless gloves on my hands and a monocle eyeglass in one eye; and a few faithful friends calling in to read. What our language needs is some fiery revolutionary. And now my vision of you is altered to include said Fagin gloves and a monocle. I shall expect them should we ever cross paths! I have vowed never to use LOL in my texting/commenting/emails, etc., and so far, I haven’t, even though my standby ‘Haha’ in its place looks buffoonish. Still, I can’t bring myself to do it. And I’m certain I won’t ever be typing DIKU! I wonder WHY the brain lights up like a Christmas tree on Shakespeare . . .
* Is it because of sheer enjoyment at the lyrical quality? Or sheer torture at trying to translate his archaic word choice? * Are electrical synapses being created and expanded while reading the bard’s words? Or are existing synapses getting short-circuited and fried from misfiring? Thanks, Kate. Sounds like electrical synapses are created/expanded from the effort to translate his word choice . . . and not from sheer enjoyment at the lyrical quality of his words. I’m not sure that is true; the beauty of the unexpected, the shock of the new: it has a beauty all its own. Words are all about the ideas we expres when all is said and done, and ‘madded’ gives a whole new perspective on a person’t state; not because it is difficult, but because it is original. It expands the way I think of someone. I hope parents will stand up and fight this, Kate. Some of my friends do now, but many do not. As an aspiring novelist, this trend is especially hard for me. Like you, I often try to craft thoughtful, literary posts for my blog. (Not always, or nobody would read, I fear.) I sometimes wonder why I bother. Blogging is, by its very nature, a short attention span format. It’s even harder when most of my friends tell me that they don’t want to take the time to read anything that makes them think, that’s dense with words, that contains words they don’t know, that has an intricate plot. It’s too much work, or they’re just too tired to focus, or it makes them feel inferior somehow. I’ve had to keep that in mind with every word I put into my current novel: how to make it something I will enjoy doing and be proud of while not alienating readers who are pressed for time and whose reading devices further fragment an already fractured attention span. Relationships were likely richer when we weren’t so connected. But then, without that connection, I would never have met you. Very true 🙂 You have set me thinking about why I write the way I do, and I find it is utterly selfish: I love ideas and I love expressing them and making them clear to people. Right now, the way I write is too long and way too wordy for most. But the sheer joy of exploration and communication of that learning in beautiful words is intoxicating. I am writing in a time capsule; I have a fantasy that one day, hundreds of years from now, people will have a different frame of mind and open this old cyberbox of papers and pull something out to read.I’ll be long gone, but ideas, as the ancient Greeks show us, are timeless. Who knows. I don’t like text speak, Kate. I don’t use terms such as ROFL unless I really need to for effect, and then I say that I don’t use that term. I don’t actually send text messages for that matter either. Am I behind the times or a modern thinker? I’d rather be behind the times with this one! I’m with you there, Tom! Ha! I know what you mean! It is quite a knack…so glad to hear the post hit a chord. Thank you, as always, for taking the time to read! I wonder if we’re going back to a pre-writing culture. A culture where there are icons and images that stand for an unadorned function. No nuances, no beauty. Maybe our future intellectual stimulation will come from poor, non-Western countries where children are lucky to have real desks and books, unlike people I see around me who are wallowing in sensory overloads with the latest electronic gadgets. Wow, that sounded pompous, but I really do worry! I think you may have a point, Gale: there are parts of the world where books and desks are still precious things to be treasured. For this, much thanks. Oh you should see some of the messages that the “young ones” at work leave for me…. I’d need a degree in text speak to figure them out!!! 😀 I know just how you feel, Ellie!! Traditionally, I write in complete sentences when I am on Facebook or e-mail. Judy, my daughter is just as your describe yourself: talking with an advanced vocab and syntax. She does meet with bafflement. But as you say; that’s of secondary concern. There’s a world of words out there. 😀 I have never recieved one; I fear red steam might start coming out of our ears if I did, Tandy! As every old fart has said for centuries past “I don’t know what’s happening to young people today”. Much as I love, and fully embrace, the technology of computers, the loss of language saddens me greatly. The Academie Francaise is losing the same battle. Interesting that it’s not just Britain, Roger! “I might even go as far as to say: great writing makes you wise.” – yes! We are what we communicate – it shapes our ways of seeing, of learning, of giving back to the world. Without the treasure-trove intracies of rich and varied language, we are no different from the rest of the animal kingdom. Well said, Kate! Aha, a bone I often chew on, Kate. I don’t text. I can’t, it seems, reduce myself to so few characters for so much I need/want/must say. I suppose if we reduce this to learning another language, knowing the younger the child the easier it is to learn a foreign language, it can be just that. What I worry about is that these easy methods become a written language of choice and a loss in time for the beauty of words. When the girls were young and out of school for the summer, I would leave a word for the day, using a wax pencil, on the bathroom mirror. In those days, we had only one bathroom and girls, being girls, spent considerable time in front of it. I surmised that they had to at least see the word. I would find long lost words in ancient dictionaries and they would need to find the meaning. Of course, there were times I would return home to see the pages still falling closed upon the word of the day as I entered, or hear conspiratorial whispering as one told the other the meaning, not to mention my friends teasing me. To this day, my young women have a love of words. See why I don’t text? I do. What an ingenious way of introducing new words, Penny! You have given your girls a gift indeed. And now Kezzie and her little brother will benefit, too! I think it’s the death knell for a lot of things, unfortunately. But I wonder, if Shakespeare were around today, would he try to write a piece that incorporated texts peak? He liked slang, so I wonder if he’d embrace the text speak. Interesting angle, Weebles; anything is possible. I think he would delight in surprising, and pulling and pushing the language in different directions. If only we could find out. Although I know textspeak is bottom feeding communication, I also partake, but only when texting. I admit that I am optimistic about very little, but I don’t think that textspeak will lead to the demise of Western Civilization as we know it. Then again, I am the same person that thought that Cyndi Lauper’s star would soar and Madonna would be a music industry footnote. I think that texting is a small symptom of a much wider problem, Lame. Young people are not spending time reading. There is too much else to do. My concern stems from the fact that I am a teacher; and that the profession is shaking its head in disbelief at the moment, at the inabiliy of many youngsters to write well. It comes own, every time, to the fact that they have not read widely enough to know what’s possible. I don’t believe there’s much danger – not when you see how blogging proliferates, how poetry has bloomed on the internet. People love to write. Shakespeare has weathered 400+ years; he’ll weather 400 more. If I learned one thing from my English degree, it was that language is a living thing, growing, evolving. There are over a million words in the English language; other tongues get by on much less. I would be very interested to see the demographics on bloggers, Tilly. People are writing, but from which generations? As a teacher I see children to whom writing comes way down the list below the bewildering variety of other activities available. Parents are working much more, and have little time to spend reading to their children. I doubt their preferred texts set up the cerebral reactions that some of the great poets do: and they certainly don’t encourage reflection in the same way. The writing we teachers see is often impoverished.